In the fall of 1978, Stephen and Lizzie Murdock bought a quarter-section of forested hillside—160 acres—above the Little Nestucca River in Oregon’s Tillamook County and named it Waterwood. They built a house and lived there, off the grid, for more than 30 years. Two of their four children were born on the land, as were their two grandchildren. Ill health prompted Stephen to start thinking about what would become of the land after he and Lizzie were gone. “The land is sacred to them,” said NCLC’s Katie Voelke. The property was last logged in the 1960s, and only the biggest trees were taken. 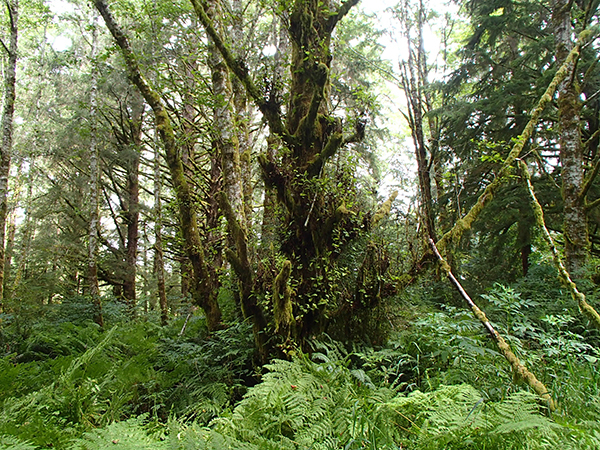 Today it’s a diverse, maturing forest of Sitka spruce, western hemlock, and red alder with small open meadows and a year-round stream. Stephen Murdock passed away late in 2013 after a long illness. 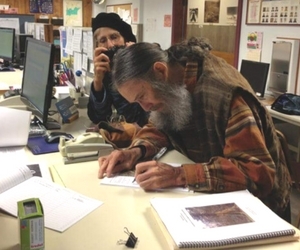 Before he died, he shared his thoughts about the conservation easement with NCLC.